Dr. Edwards has served as a software expert in more than 50 cases, including dozens of patent infringement cases. He has been deposed as an expert witness more than 10 times, including in copyright, trade secret, and patent infringement cases. Dr. George Edwards has more than a decade of experience as a scientist, engineer, and technical consultant to academic research labs, government agencies, technology companies, and attorneys, including Bosch, Infosys, University of Washington, George Mason University, MIT, NASA, DoD, and NIH. Dr. Edwards has authored dozens of articles and papers related to software engineering for scientific journals and industry magazines. 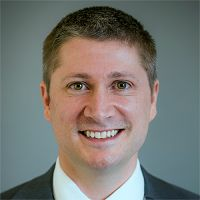 He is listed as a co-inventor on a pending patent application for novel software technology and has served as a software expert for plaintiffs in software patent litigation. He has delivered numerous invited lectures, seminars, and technology demonstrations at computer science conferences and software industry events, and he has served as a panelist at technology forums and symposia, acted as a reviewer for journals and magazines, and been a committee member for academic conferences. Dr. Edwards also teaches a graduate-level software engineering course at the University of Southern California. Dr. Edwards holds a Ph.D. in Computer Science from the University of Southern California, an M.S. in Computer Science from the University of Southern California, and a B.S. in Computer Science with a Minor in Mathematics from Vanderbilt University. Dr. Edwards has more than a decade of experience as a scientist, engineer, and technical consultant to academic research labs, government agencies, technology companies, and attorneys. Please visit quandarypeak.com/GeorgeEdwards for Dr. Edwards's complete resume, list of publications, and awards. Dr. Edwards has served as a software expert in more than thirty cases, including over twenty-five patent infringement cases. He has been deposed as an expert witness multiple times, including in copyright, trade secret, and patent infringement cases. Dr. Edwards is a member of the ACM SIGSOFT Special Interest Group, the IEEE, and other industry groups. Please visit quandarypeak.com/GeorgeEdwards for Dr. Edwards's complete resume, list of publications, and awards. -Programming languages and platforms: Java, C/C++, C#, Perl, Python, PHP, Eclipse, Visual Studio, .NET, WinForms, WPF, Java EE, CORBA. -Mobile devices and applications: Android, iOS, iPhone, Windows Mobile, Windows Phone, BlackBerry, Palm OS, Java ME. -Multimedia: MPEG, SVG, DVR, Silverlight, Flash. -Networking: IMAP, POP, SMTP, DNS, TCP/IP, HTTP. -Databases: RDBMS, SQL, MS SQL Server, MS Access, Oracle, MySQL. -Project management and development methods: Kanban, Lean software development, agile, object-oriented (OO), aspect-oriented programming (AOP), component-based development, COTS integration, requirements engineering, spiral model, UML. Dr. Edwards has received numerous awards for high academic achievement and scientific research. Please visit quandarypeak.com/GeorgeEdwards for Dr. Edwards's complete resume, list of publications, and awards. Dr. Edwards currently teaches a graduate-level software engineering course at the University of Southern California. Please visit quandarypeak.com/GeorgeEdwards for Dr. Edwards's complete resume, list of publications, and awards. Dr. Edwards has authored dozens of articles and papers related to software engineering for scientific journals and industry magazines. Edwards has also served as a panelist at technology forums and symposia, acted as a reviewer for journals and magazines, and been a committee member for academic conferences. Please visit quandarypeak.com/GeorgeEdwards for Dr. Edwards's complete resume, list of publications, and awards. "Dr. Edwards has a deep understanding of computer technology and doesn’t hesitate to dive into technical minutia in support the case. Dr. Edwards also has courtroom presence, testifies clearly, and effectively distills complex concepts to basics. In a recent project, Dr. Edwards lead a source code review of approximately 100 million lines of code, mapped relevant components across hundreds of versions, and drafted a succinct report tying it all together. Dr. Edwards will be my first call for the next case." "Dr. Edwards provided excellent expert analysis for our client, a software development company, in a contract dispute before the Southern District of New York. Dr. Edwards’ work greatly contributed to a successful result for our client." "Dr. George Edwards provided a comprehensive and thorough analysis of my client’s software in preparation of trial. His expertise helped facilitate an amicable resolution in a hotly contested case." "I was impressed with Dr. Edwards’s ability to understand the technology and patents despite coming onto the case on short notice and on an extremely expedited trial schedule. He and his team provided a thorough source code review in a very efficient manner. I highly recommend him and look forward to working with him again." Dr. Edwards holds a Ph.D. in Computer Science from the University of Southern California, an M.S. in Computer Science from the University of Southern California, and a B.S. in Computer Science with a Minor in Mathematics from Vanderbilt University. Please visit quandarypeak.com/GeorgeEdwards for Dr. Edwards's complete resume, list of publications, and awards.